I am really loving this Ashley Bridget skinny hair tie bracelet that is silver plated. 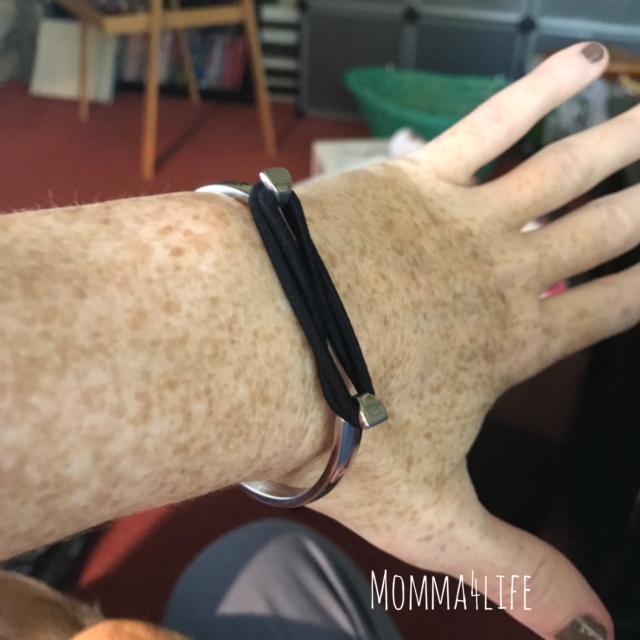 This is such a cute way to wear your ponytail holders around your wrist it is a way to take your basic ponytail this jazzes it up. Whether you were dressing up or dressing down this is perfect it comes with one hair tie available. 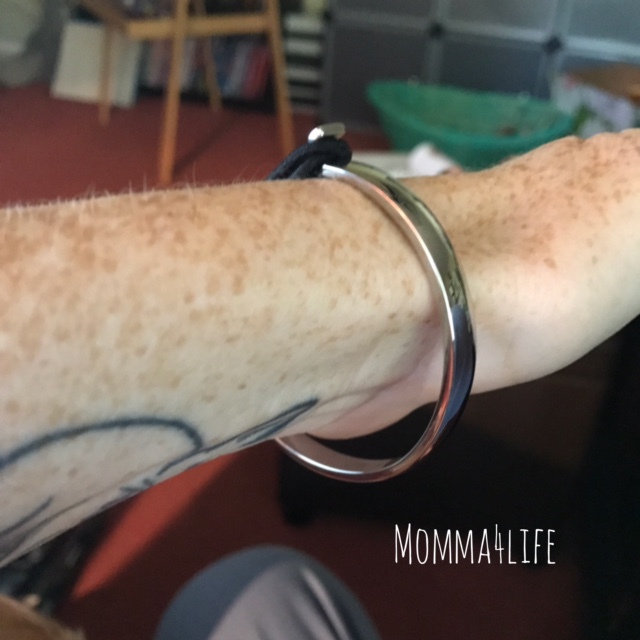 This is a fashionable way to wear your hair ties now all you have to do is flip the cuff over your wrist then wrap your hair tie around the opening of the bangle. 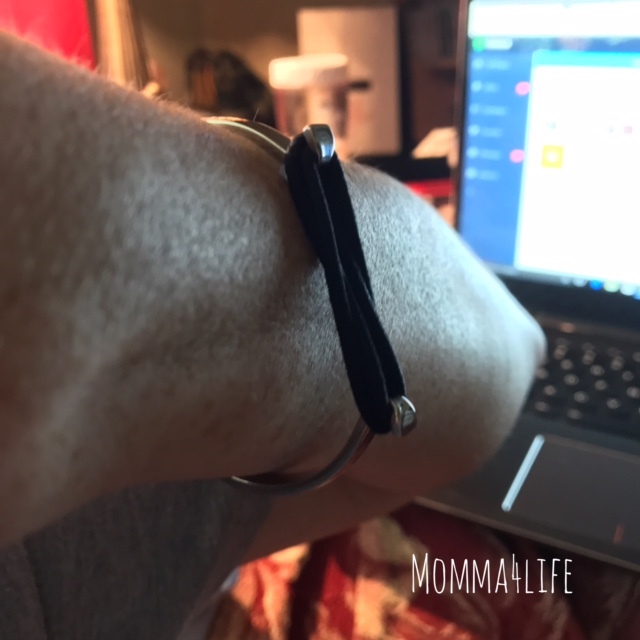 This bracelet is 2.75 inches and the design fits comfortably around most women's wrists. It comes in silver, gold, and rose gold. Perfect for going out on the town or going to work. Your bracelet will arrive with an extra hair tie and a chic presentation box this would be the perfect for a stocking stuffer.